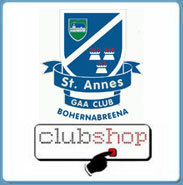 St Anne's Macra takes place every Saturday morning between 10.30am and 11.30am. The Kindegarten is open for Children between 4 and 7 years of Age. 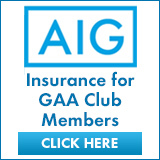 The Macra has both Football and Hurling for boys & girls. 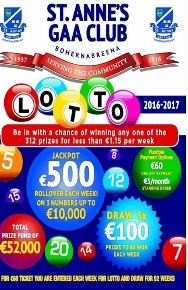 St Anne's GAA Macra is run by Club GPO ( Games Promotion Officer) Adam Doran and his many helpers every Saturday morning. We encourage all parents to become actively involved in helping their Children learn basic skills and most importantly have loads of fun. 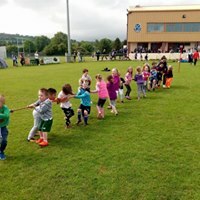 The Feile Cafe is always open serving tea and coffee along with luxury hot chocolates and treats for the children after their fun and games. 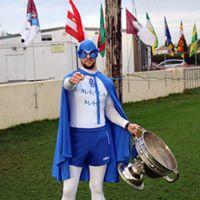 Macra Man is a frequent visitor to the children encouraging them to eat healthy and to be active to help stay fit. 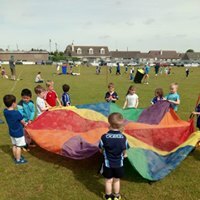 Also on Monday nights at 6-7pm the Hurling Nursery for boys & girls takes place for children between the age of 5 & 7 years of age.